HomeNewsStoned! Australian Tribute To The Rolling Stones Now Available Here! Ho, ho, ho! Here is the perfect Christmas present for you, your loved ones, a relative, a friend, a work colleague or even someone you don’t like very much at all! Or you can just impress everyone with this superb addition to your record collection and they will think you are a lot cooler than you really are! This is a fantastic Australian tribute to the music of the Rolling Stones featuring some of Melbourne’s finest contemporary musicians. It is hand-produced by Shane O’Mara at the famous Yikesville Studio in Yarraville with the executive production of the Rhythms brains trust (or in this case (Brian’s trust). You can get this now for the special Christmas/New Year bargain price of A$20 (including postage)! 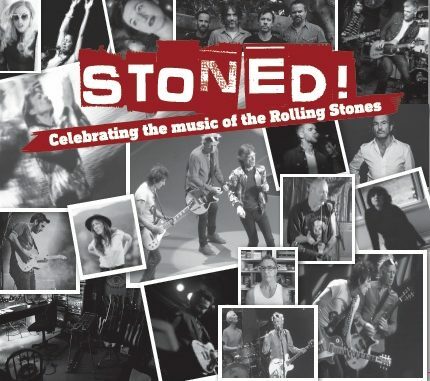 This special album is AVAILABLE HERE: STONED! If you live outside Australia you can now get this limited edition pressing for a bargain price of A$30 (inc. postage, for INTERNATIONAL customers only). Get in quick, first pressing is selling fast!